On Tuesday, roughly 67 percent of Missouri residents voted against keeping a right-to-work law, which prohibits unions from requiring fees as a condition of employment. The state’s right-to-work legislation was first passed and signed into law in 2017 by the state's Republican-controlled Legislature. Tuesday’s vote decided “whether the state should ban compulsory union fees in all private-sector workplaces,” according to the New York Times. A petition to prevent the law from going into effect and force a public referendum garnered over 300,000 signatures. Opponents contend that these fees are necessary to protect workers’ rights. “Unions powered an opposition effort that had spent more than $15 million as of late July, well over three times as much as various groups that support right-to-work,” according to the Associated Press. “Advertisements generally have focused on economics, with supporters claiming right-to-work would lead to more jobs and opponents claiming it would drive down wages." The result of the vote marked a major victory for the organized labor movement. It was described as a “truly historic moment” by Mike Louis, president of the Missouri AFL-CIO, the largest federation of unions in the US. "Tonight we celebrate, but tomorrow we're getting back to work. We're going to take this energy and momentum and build more power for working people across Missouri,” Louis said. 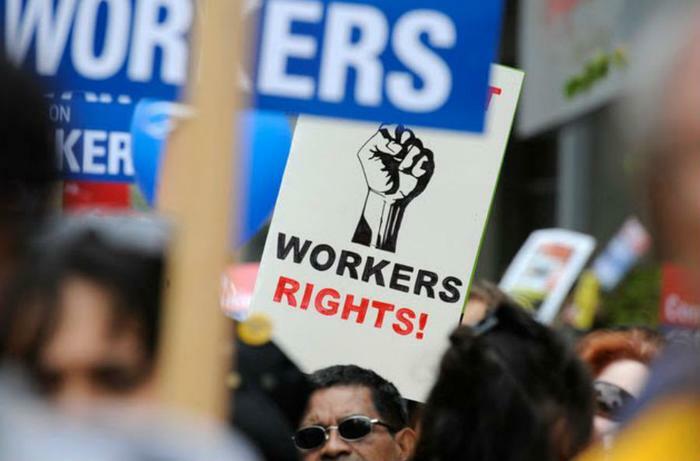 "The defeat of this poisonous anti-worker legislation is a victory for all workers across the country," AFL-CIO President Richard Trumka said in a statement. "The message sent by every single person who worked to defeat Prop. A is clear: When we see an opportunity to use our political voice to give workers a more level playing field, we will seize it with overwhelming passion and determination."